Roulette is one of the easiest casino games to play and is also one of the oldest games available in casinos around the world. So how do roulette payouts and odds work? Roulette has a consistent house edge and straightforward odds. You’ll learn everything you need to know about the edge and odds on this page as well as an explanation of each possible bet you can make at the table. As you learn more about the house edge you’ll see that even at the tables with the best odds for the player the edge is higher than you’ll find at games like blackjack, baccarat, and some video poker machines. It’s easy to fall into the trap of only thinking about the percentage of the house edge of casino games, but many times you end up losing less per hour, and in turn being able to play longer, by playing a higher edge house game. One of the main advantages of playing roulette is you play fewer spins per hour than you play hands per hour at the blackjack table, baccarat table, or at the video poker machine. 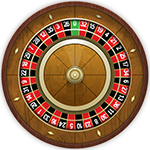 When you combine this with the simple game-play where all of the bets have the same edge, roulette is a good choice for many casino players. Take a look at the odds, payouts, and house edge that are offered when playing on the American, European, or French roulette wheels. Be sure to look at the section on how the house edge works to get familiar with why American roulette has a higher edge than European or French. Let’s take a look at the odds you face on each inside bet as well as the corresponding payouts. This is based on the US wheel. The house edge on outside bets work on the sample principle but, as you’ll see in the following table, both the odds against winning and the payouts are much lower. European roulette wheels don’t have a double zero space so the odds are better for the player. It is the most popular type of roulette played at most of the online casinos, as the house edge and odds of winning make it the best choice for avid players. Let’s take a look at the odds you face on each inside bet as well as the corresponding payouts. The only difference between European roulette and French roulette is that in French roulette if you bet on high, low, red, black, odd, or even and the ball lands on zero, you only lose half your bet. So, the house edge on these bets is half of what it is on a European wheel. Let’s take a look at the odds you face on each inside bet as well as the corresponding payouts. 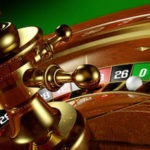 Experienced gamblers avoid the US wheel, in favor of the European version –or even better, the French Roulette game, which has the best odds of all roulette payouts. There are two types of bets that a player can place –inside and outside bets. These are relative to where you would actually place your chips on the table. Learning the type of bet and where to place the bet will help you know what your possible roulette payout will be. A street bet is on three numbers across the display, such as 31, 32, and 33. This bet is made by placing a chip or chips on the outside edge line on either end of the street. In this example, you place a bet on the leftmost line of the 31 or the rightmost line of the 33. This is a bet on two streets made by placing a chip or chips on the outside line where the two streets meet. A bet on numbers zero, one, two, and three on a single zero wheel, made by placing a chip or chips on the outside corner of the zero and one or zero and three. A bet on the double zero, zero, one, two, and three on a double zero wheel, made by placing a chip or chips on the outside corner of the zero and one or double zero and three. Bets in roulette range from simple ‘coin flip’ chances such as red or black, to inside bets which have payouts of a huge 35-to-1. Having an understanding of how these odds are calculated and how they affect your overall bankroll and betting strategy can help your Roulette game immensely. This includes understanding which wheel has the best return on the bets you make. House edge is the long-term profit casinos make from every bet. This will vary between games (Keno is particularly loathsome at 27% while basic bets in Baccarat are under 1.25%). Roulette’s house edge clocks in at 5.26% for the US wheel and 2.7% for the single zero European version. How is the House Edge Calculated? A straight-up bet requires 1 of 38 numbers (the 1-36 numbers along with 0 and 00) to come in, meaning you are facing odds of 37-1 against your number winning (36-1 against with the European wheel). You might also like: Our Roulette House Edge page to learn more about what it is and how to calculate it. When you are lucky enough to win a straight-up bet, the payout is only 35-1. Putting this into dollar terms, a winning $1 bet on the number 19 will result in a $35 profit when the true odds dictate that you should receive $37 instead. Taking this into consideration, you can calculate the house edge of Roulette by simply taking that $2 difference and divide it by 38 (the total amount of numbers on the table). For ‘outside’ bets the edge is controlled by the zeroes. When you bet on red/black or odd/even (for example) and the ball lands on the green zero – all bets lose. This means that the US wheel makes these bets twice as likely to lose as the European wheel. 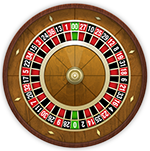 There is a 3rd variation of the game, known as ‘French Roulette’, which returns half of your stake from even money bets when the ball hits the single zero slot. This lowers the house edge considerably. Though exactly how much, will depend on the proportion of inside and outside bets you make. 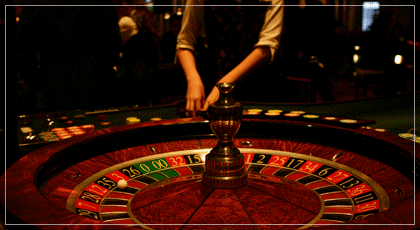 If possible, try to find a French roulette wheel when you play, but at the very least stick with a European wheel. The American wheels cut your playing time in half by charging you twice the house edge of the European wheels. Bookmark this Roulette Payouts & Odds page for future reference. You can find European wheels in almost every online casino, including all of the ones we recommend on this site and in most land-based casinos. If you don’t see a single zero wheel ask someone. If they don’t offer one consider playing somewhere else. Wizard of Odds roulette page.